When should kids have their vision checked? No, we do not have an optometrist or ophthalmologist on staff. However, we are happy to refer you to a qualified doctor in the area. Just give us a call! 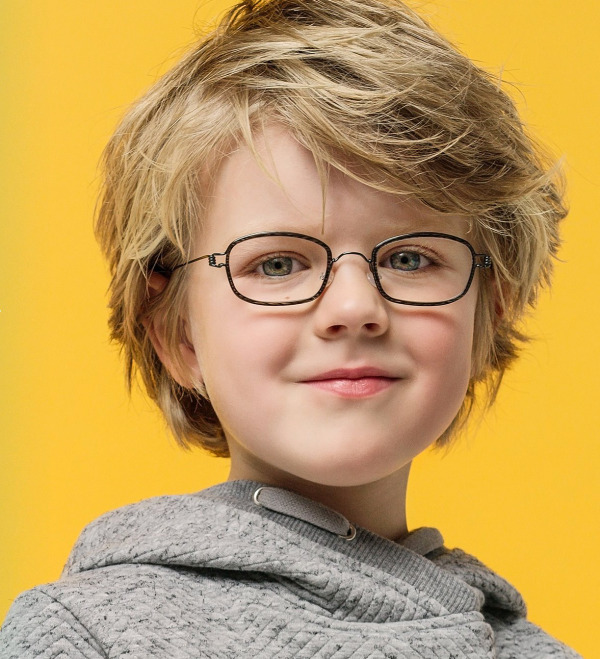 Do you accept insurance for children’s eyewear? No, we are not providers for any insurance plans. Because of that, we are able to offer the extensive eyewear selection that we do. However, after making a purchase, we can supply you with an itemized receipt for you to submit to your insurance, health savings, or flexible spending for reimbursement. Check with your insurance on your out-of-network benefits. Do you offer a warranty on frames and/or lenses? Kids are tough on many things, and glasses are no exception! Frames have a one year manufacturer’s defect warranty. Although, most frame breakage with children is usually not due to a manufacturer’s defect, it’s due to kids being kids. In the case of normal breakage, frame replacements are 50% off of the original frame cost and are replaced as a complete frame only, for as long as the frame or parts are available. Lenses with an Anti-Reflective Treatment have a two year scratch warranty. As always, we strongly encourage kids to have alternate and task-specific pairs! Ask us about savings on additional pairs!! 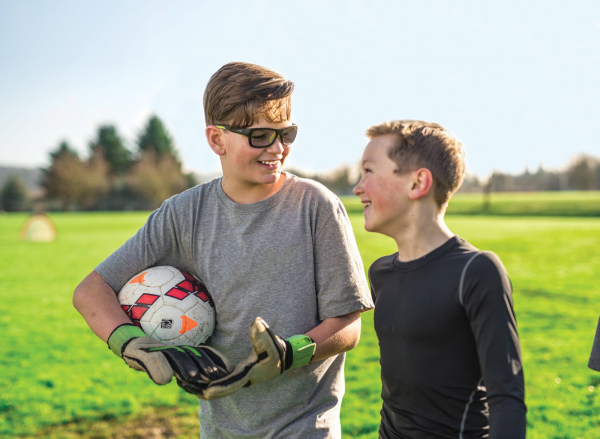 Can my child wear their glasses while playing sports? It is not recommended that regular eyewear be worn for sports (this is for adults too!). Not only is the eyewear in danger of breaking on impact, but the child can also be injured. Sports glasses are designed to take the rough contact during sports and remain intact, as well as protecting your child from injury. Protective sports glasses are recommended for everyone playing sports and are available with or without prescription! How should we care for my child’s Eye Candy Kids eyewear? Instruct your child to always put their glasses on with two hands; always take their glasses off with two hands. This will help keep them in good shape! Always store them in the case they came with, and if out of the case, lay them with the lenses up. Never put glasses face down on the lenses, as they will get scratched. That’s bad news! For cleaning, rinse the lenses with lukewarm water first to remove any dust that may be clinging on. Then, use your Eye Candy Kids spray cleaner on both sides of the lenses. Finish by polishing the lenses dry with a microfiber cloth. Don’t forget to wash your microfiber cloths in the washing machine regularly without fabric softener. Do not use alcohol or any other household cleaner to clean your lenses or frames! It is important that your glasses always fit well. Please stop in to see our opticians any time for some fine tuning—or major overhaul! Can I order frames over the phone/online? I live out of state but am interested in ordering from Eye Candy Kids. It is critical that a child’s eyewear be fitted properly by an experienced optician, from the initial selection to the final delivery. For that reason, we do not recommend ordering online from any site! If your child has successfully worn a particular style previously and you’d like to reorder it, we’d be happy to take that order by phone and ship it to you. However, be sure to take them to a qualified optician in your area for final fitting. Do you recommend any children’s books about wearing glasses? Below are all great books for young children to enjoy and see that other kids wear glasses too!